Some launch service providers have moved to decrease the number of their rocket offerings as part of cost-saving efforts, SpaceNews reported Wednesday. 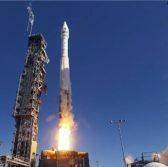 Tory Bruno, president and CEO of United Launch Alliance, told audience at the SpaceCom Expo held Wednesday in Houston the company has reduced Atlas 5 and Delta 2 and 4 configurations from 41 to 18 over the past two years. Brett Alexander, vice president of government sales and strategy at Blue Origin, said during a panel discussion at the same event the company’s New Glenn vehicle currently under development will have one configuration for all markets and flights. “We don’t have solid strap-ons, we don’t have multiple cores, we don’t have different variants of upper stages,” Alexander added.